I expected some sort of congratulations from Karen Moy for my 3,000th Mary Worth post, so I visited her blog, but this was all I found: A one-sentence post with a scan of her own comic that wasn't even straight. It makes me feel a little unappreciated, frankly. Fido and Spot also chose you Myster Wynter. I guess you'll be taking those two home as well. And there are actually 37 other dogs in tiny cages all choosing you at this exact moment. Enjoy! If "Providence" is code for "God," and "God" is code for "Mary Worth," then, yes, Providence indeed. Saul married the girl that his parents picked out for him, and now he's going to adopt the dog that Mary picked out for him. But doesn't Greta have a say in this? She's a dog, not a wife. Humane Society Volunteer: "We've had her locked up in this tiny cage with no bedding for almost a year. We even feed her twice a week. But still, not a word... We just can't understand it." Saul: "Have you tried making her wear a ridiculous bow tie?" Saul knows what it's like to be taken somewhere against your will. "There are two types of people we don't let take pets. And the two of you are both types." Actually, Saul, they only have 72 hours. But I'm sure you and Mary can cheer them up! If I felt badly for Saul when his dog died, it doesn't compare to how badly I feel for him now. If there's a special place in hell for chihuahua's, Bella is still better off than Saul is right now at this moment with this tormenter. 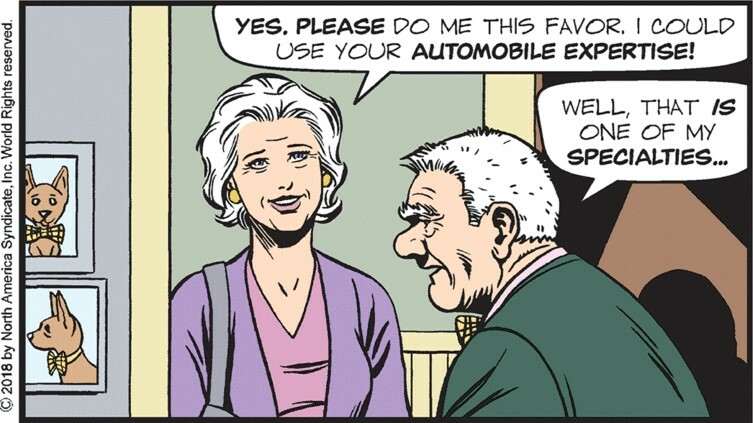 Has Mary Worth ever had a better idea than this? Saul will take one look at all those little animals with just 72 hours to five days to live, and he'll cheer right up! 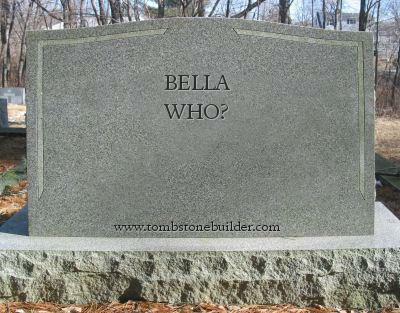 Bella who? For those of you who are wondering what in the holy name of Scooby-Doo Mary means when she says that by shutting out the bad, we also shut out the good, I put it to the test. 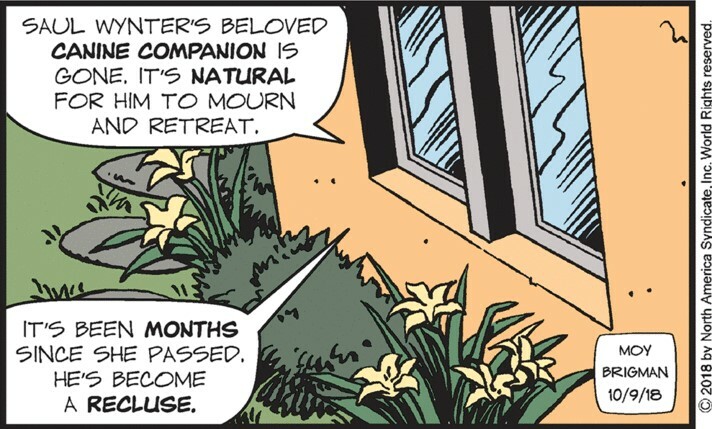 When I shut out this strip for three days, I missed the good - all of you guys. "You wouldn't happen to drive a 1975 Oldsmobile Regency Coupe would you? It is also one of my specialties." To which, Mary responds, "Ha Ha Ha Ha Ha!" It's only been months? It feels longer. But I think he's entitled to grieve for at least as long as you feel entitled to obsess over him. The last time Mary made muffins for an elderly bachelor, she was assaulted. I would think she'd want to keep away from the muffins for a while. Instead, she tries immersion therapy. Myster Wynter has been slamming doors in peoples faces for so long that he forgot how to close the door when he's with a friend and feeling sad. She's gaining on you Myster Wynter! Run, Saul, Run! She's relentless, but don't give up. Just a ... few ... more ... yards to your front door where nothing will ever remind you of Bella again. Except for the 37 framed photos on the wall, and the chew toys in her chair. At last, something about this story is hasty. We're really moving now! What?! 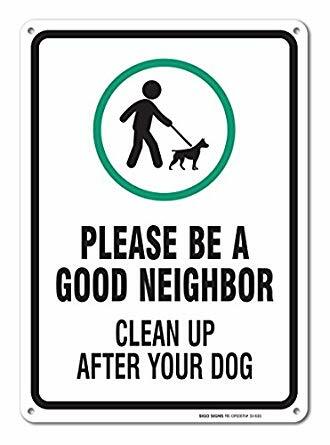 Even after the condo board's extensive signage campaign? ?